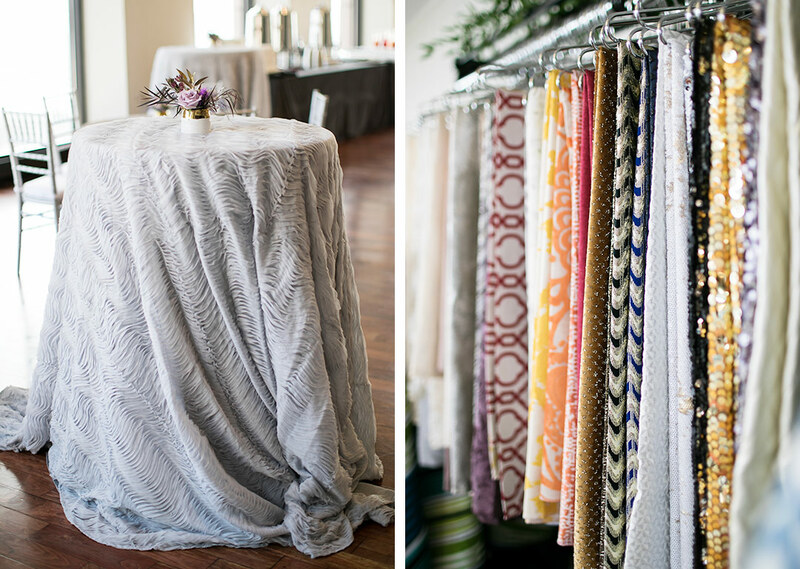 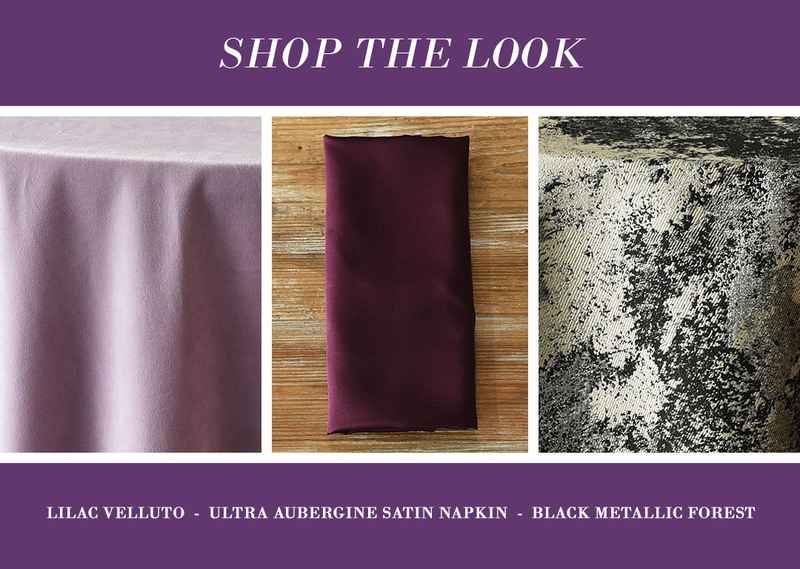 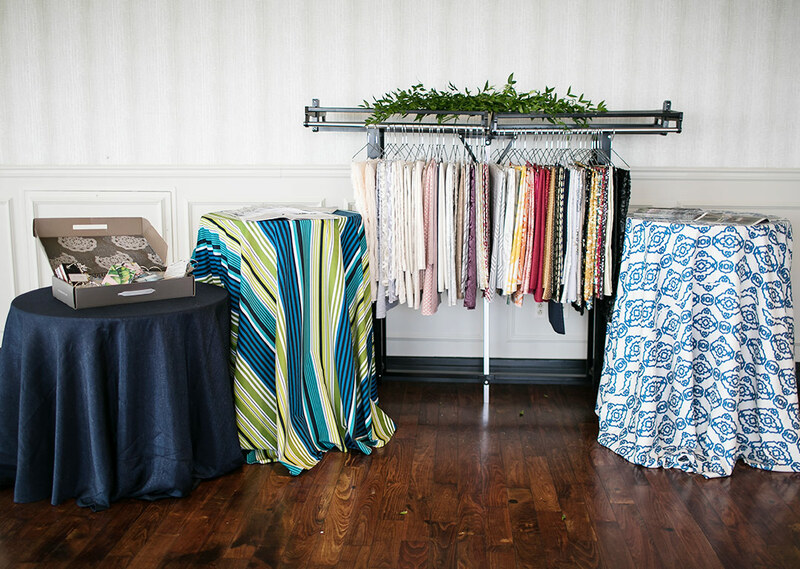 We may be a little biased, as our Beverly linen is one of our favorites, but isn’t this look just amazing? 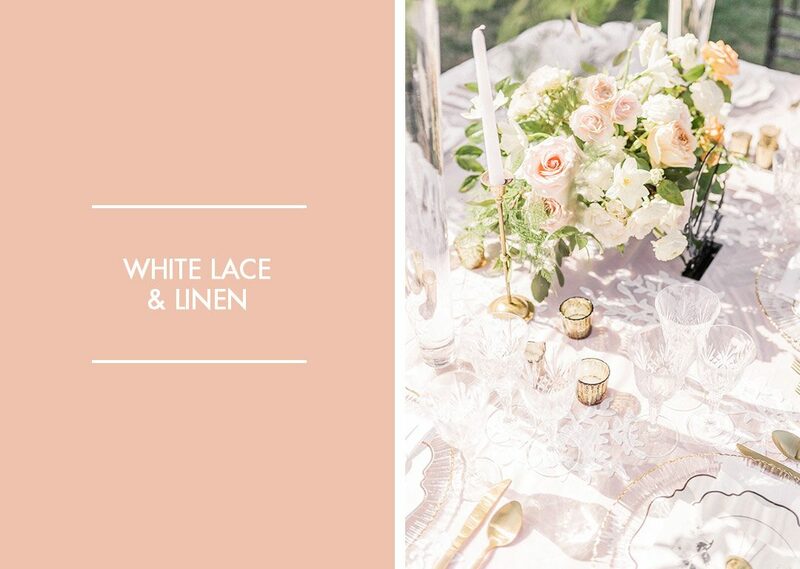 It’s summer personified! 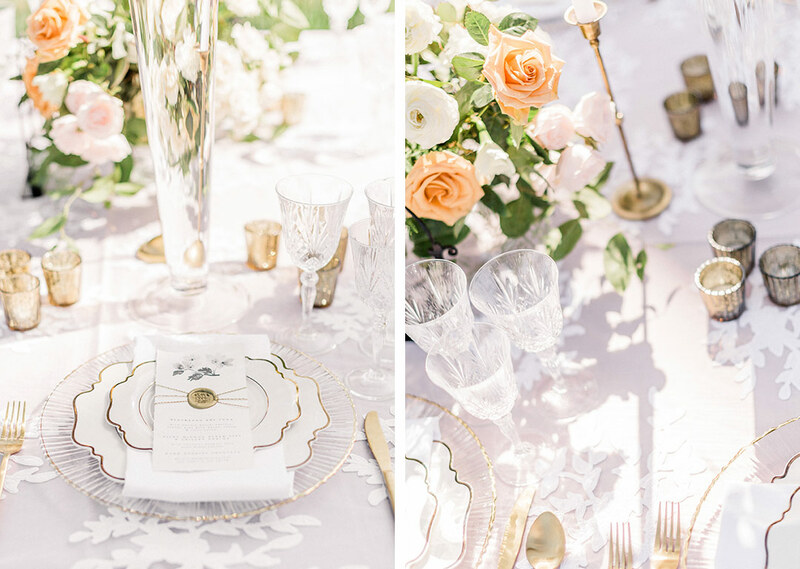 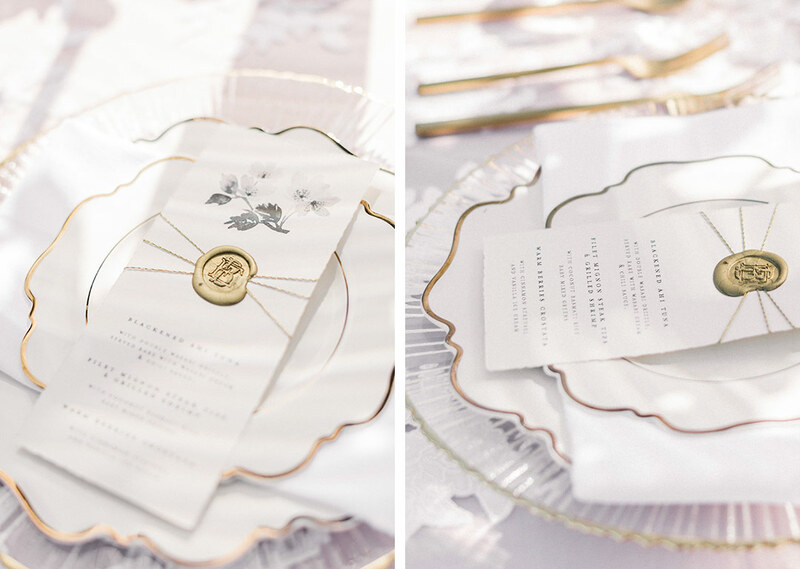 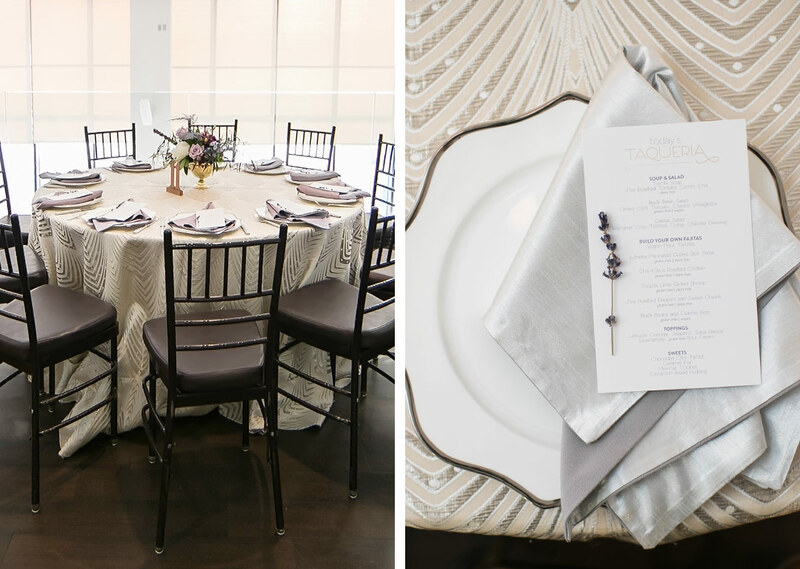 Pialisa took this print from casual to chic with a white and gold palette using their Oro Dinnerware and White + Gold Flatware. 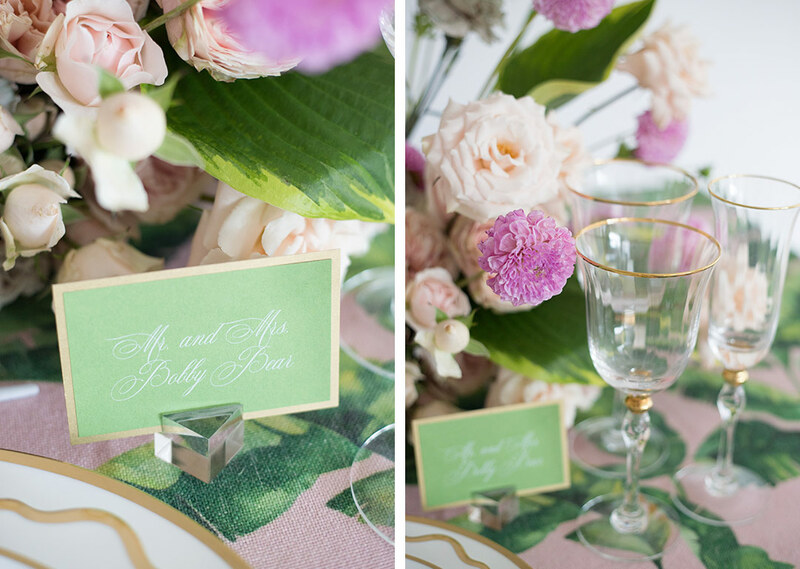 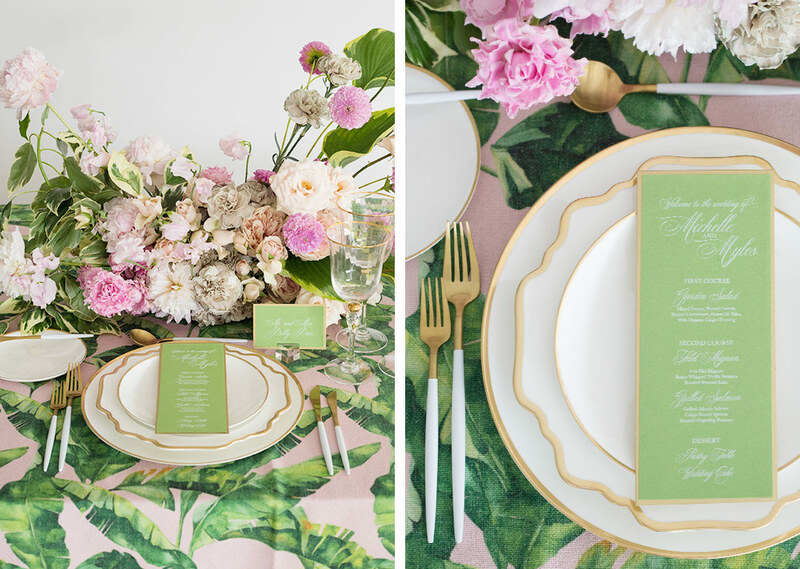 And we love how the menu cards, from Paper Gals gave an extra nod to the tropics with that punch of bright green. 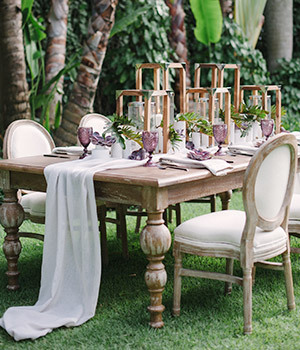 Set this one up poolside and you’re good to go! 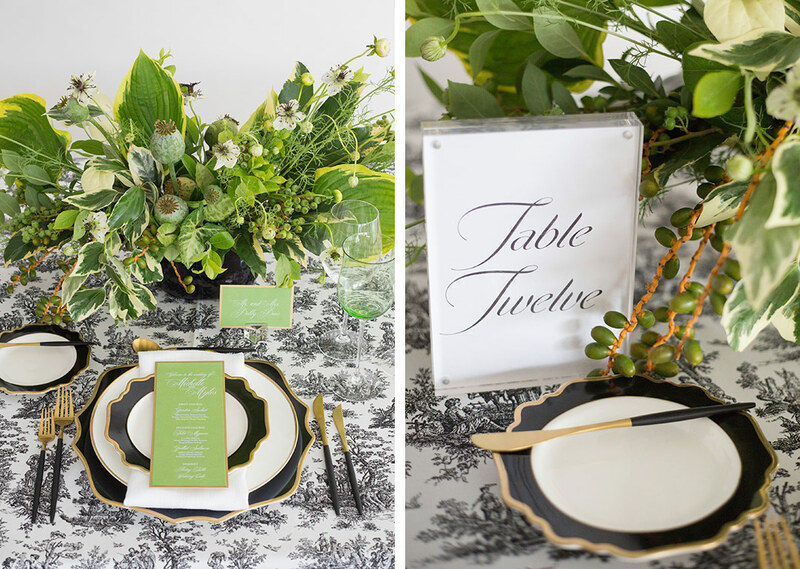 A black and white palette will always be classic and with our toile-inspired Black Jamestown linen, all the better. 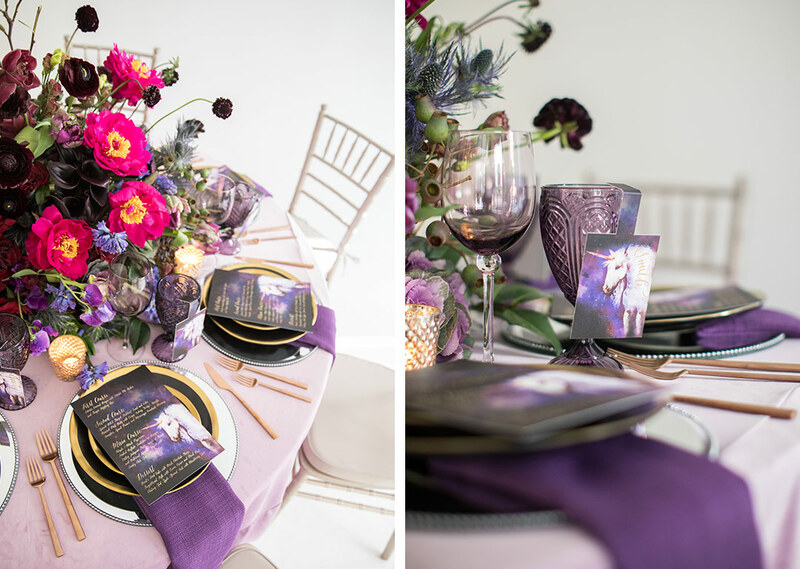 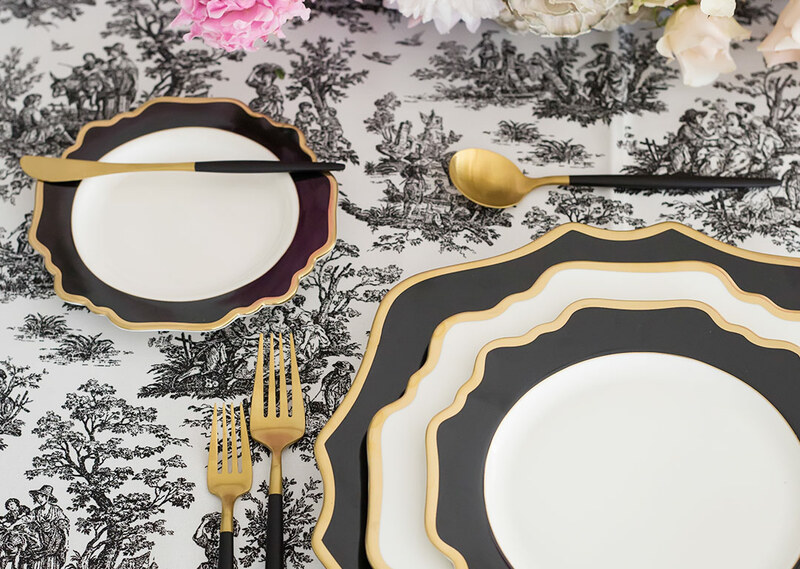 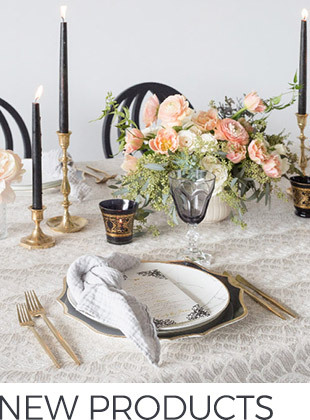 Pialisa paired this look with their Jet Dinnerware collection and Black + Gold flatware, keeping the color palette streamlined with just a hint of shimmer. 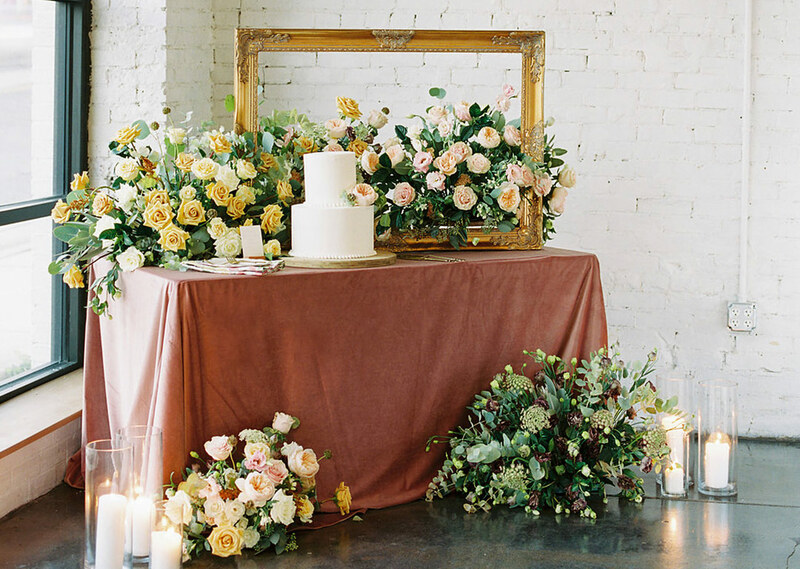 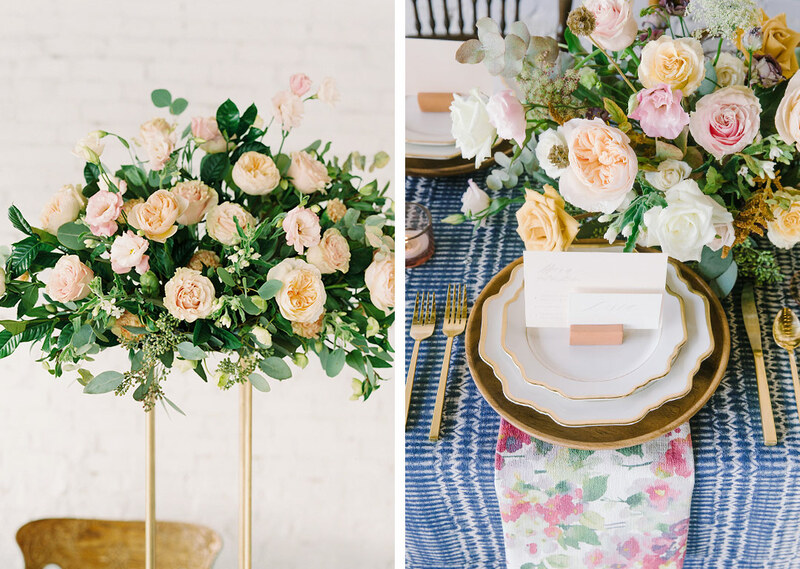 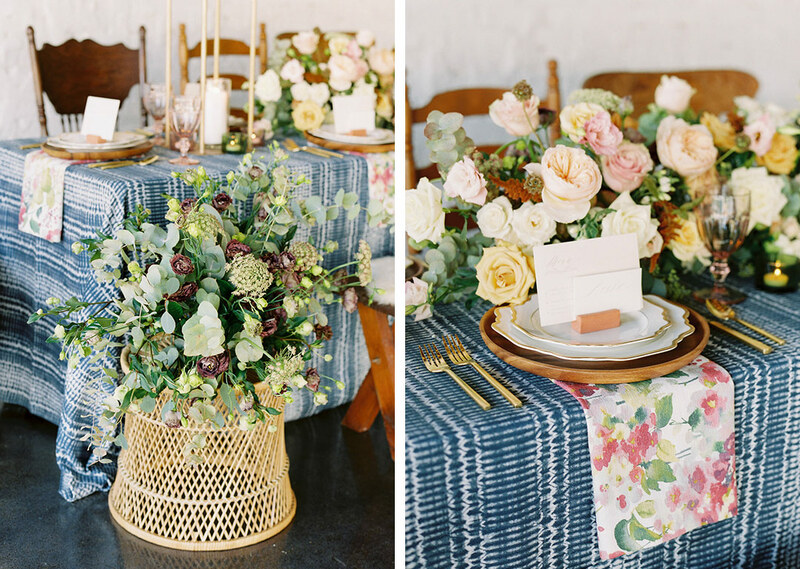 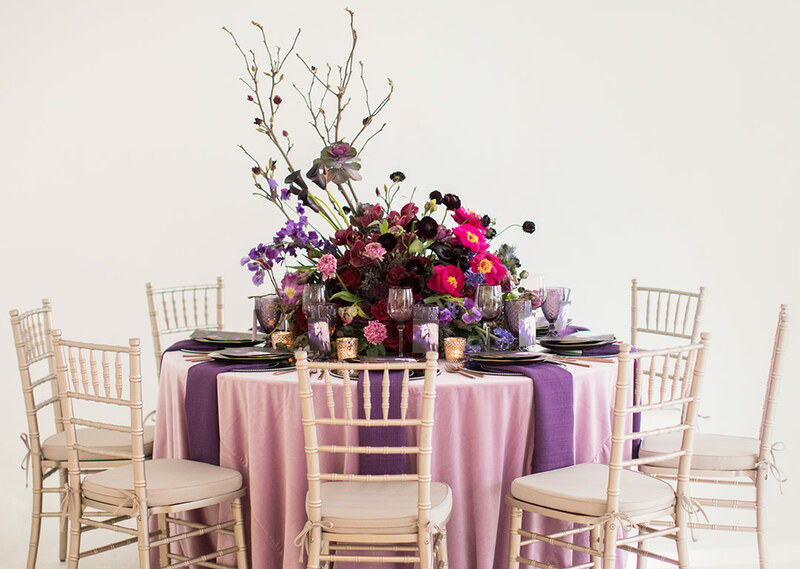 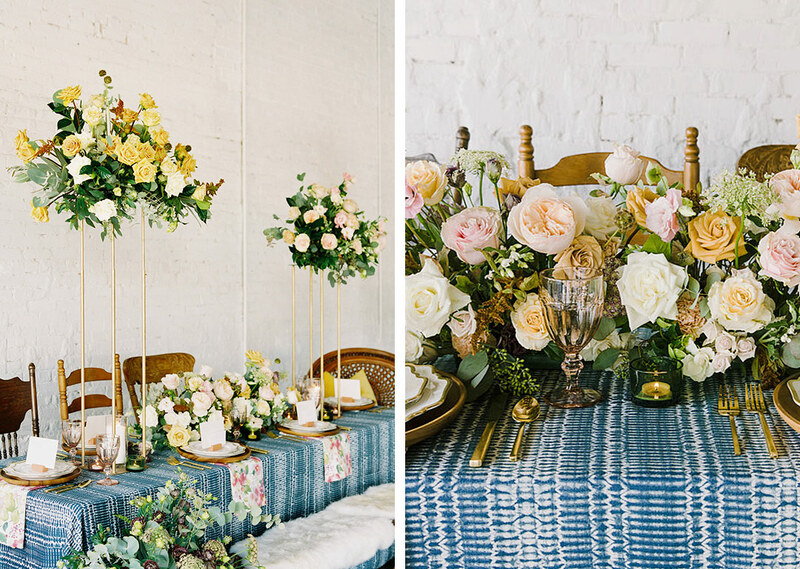 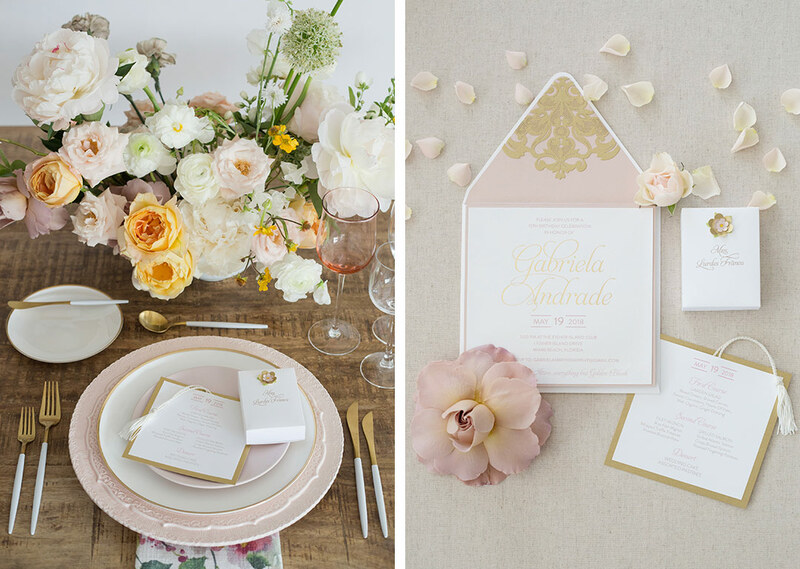 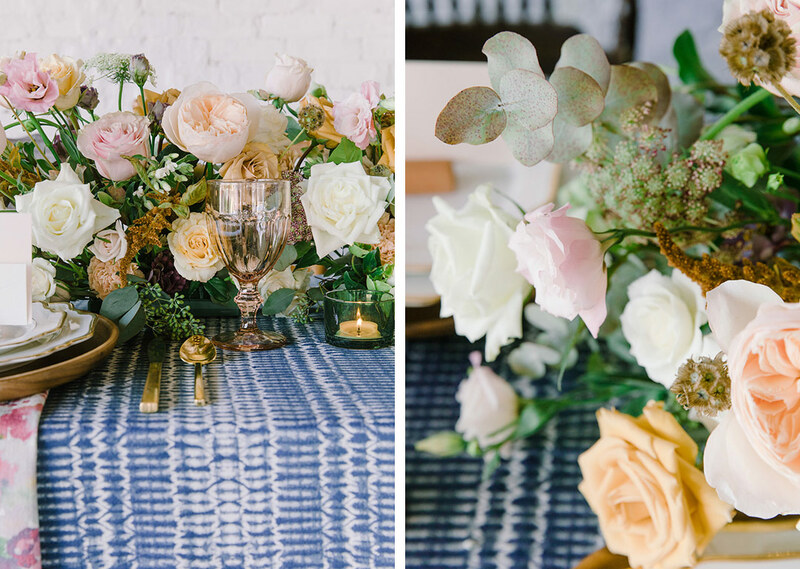 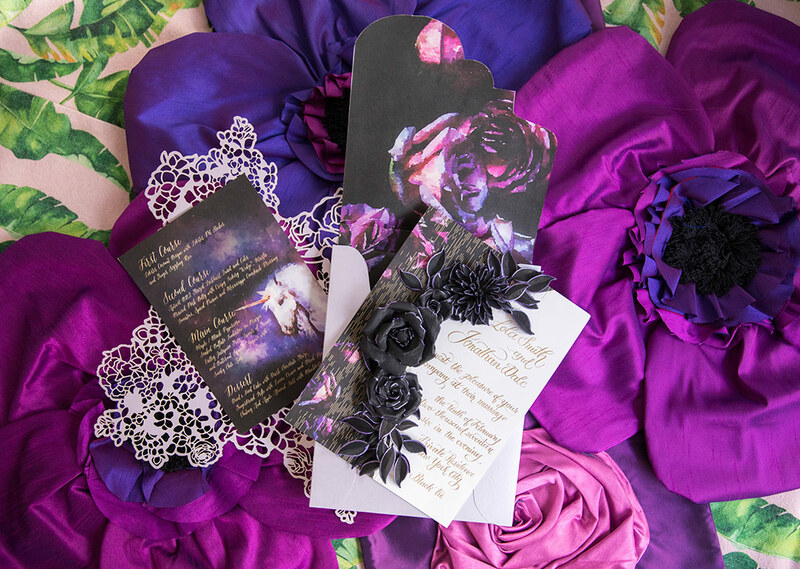 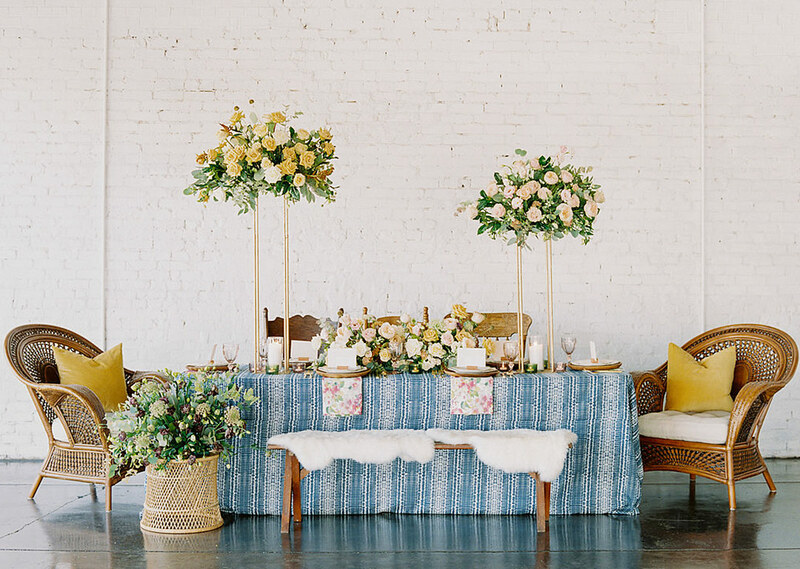 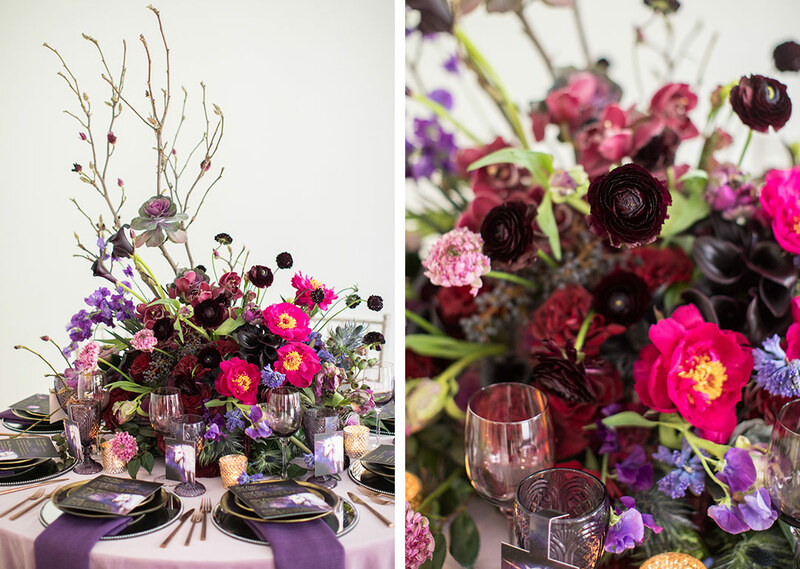 We’re obsessed with the florals from Ever After Floral Design. 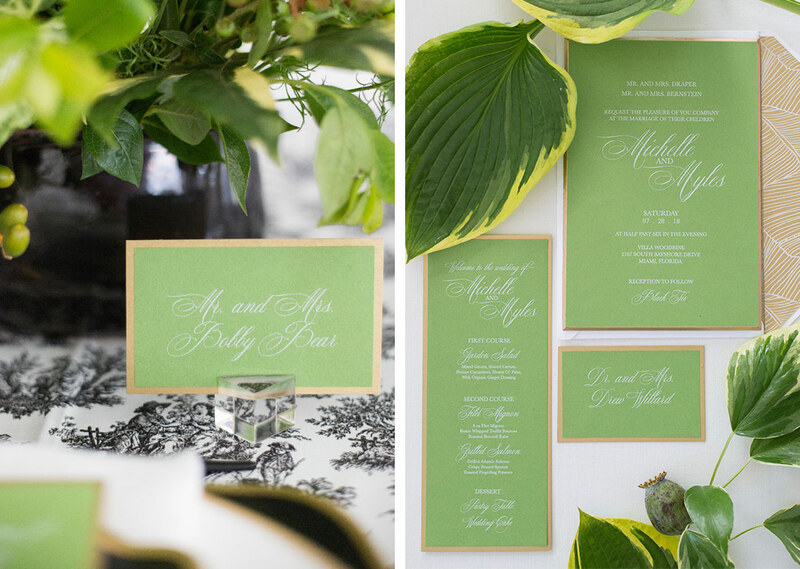 The assortment of bright greens with pops of white gives the design a fresh look! 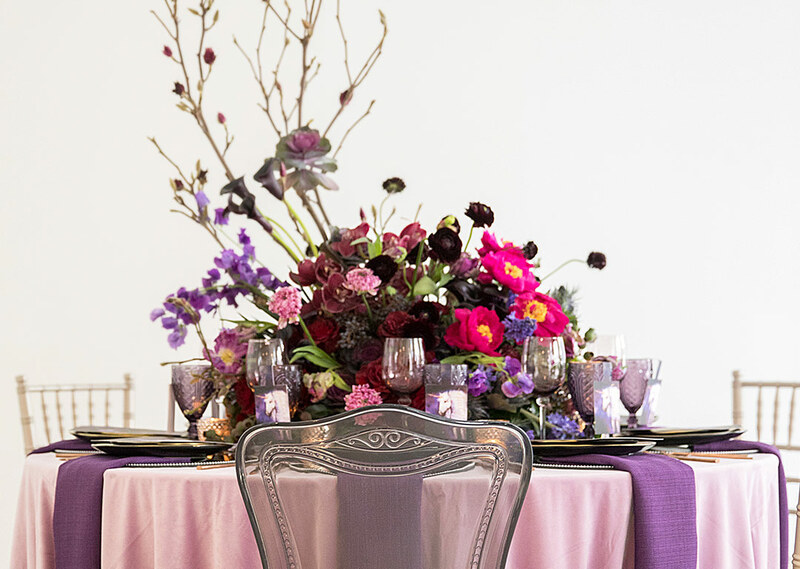 And for something of a softer look, Pialisa used a neutral palette with pink accents against an exposed wood table. 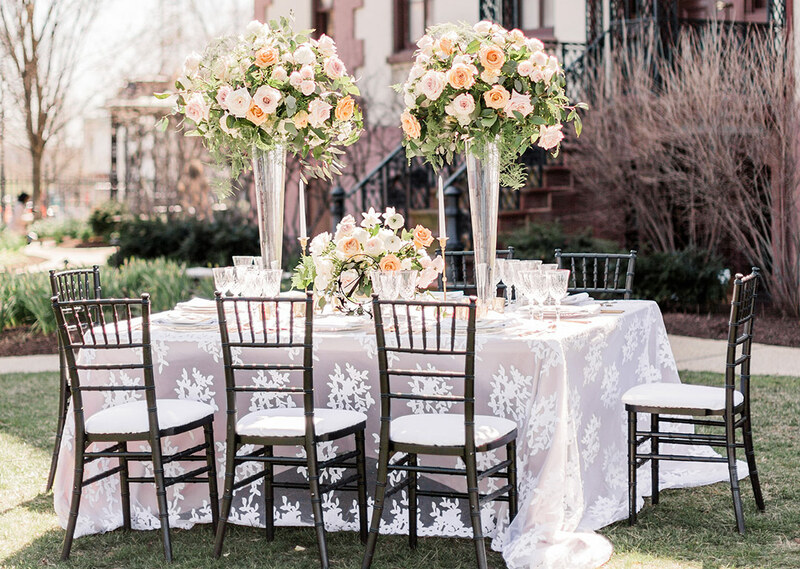 To give the tablescape that pop of color, Ever After Floral Design added in soft coral hues to the arrangement. 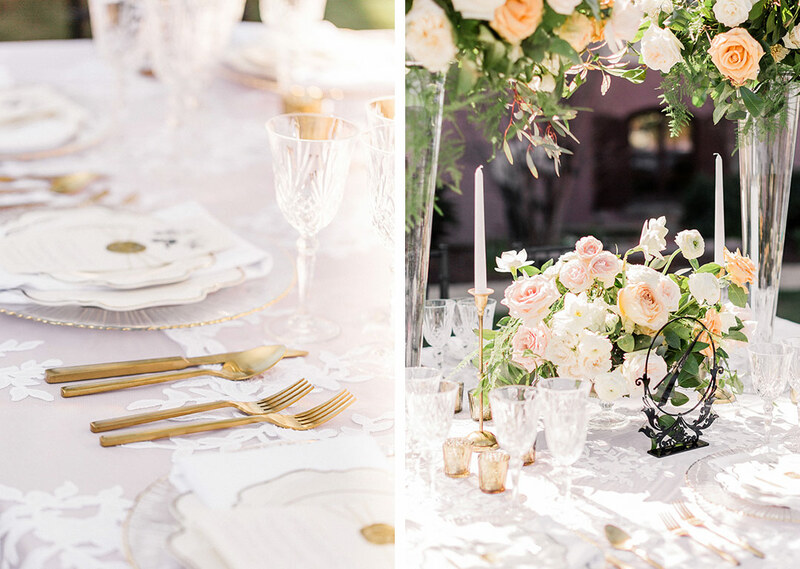 Pialisa tied everything together with our Floral Monet Napkin set again their Unicorn Pink Dinnerware and Romantic Pink Charger. 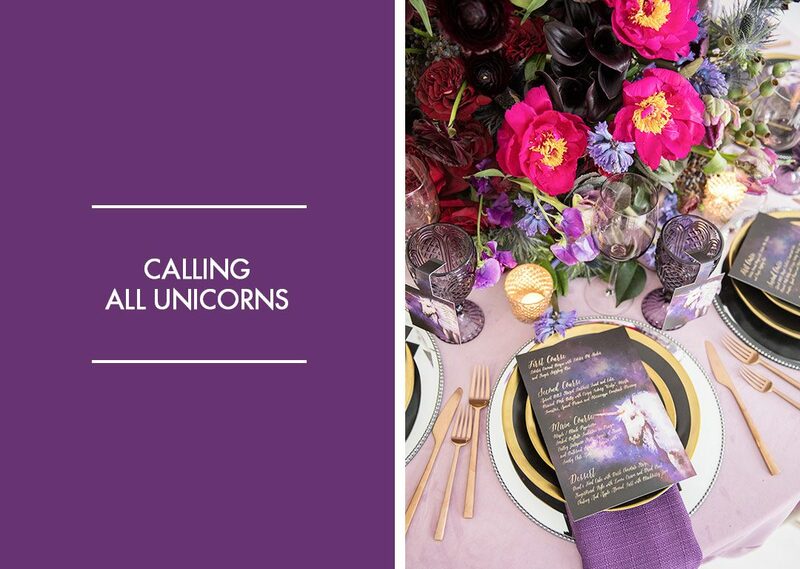 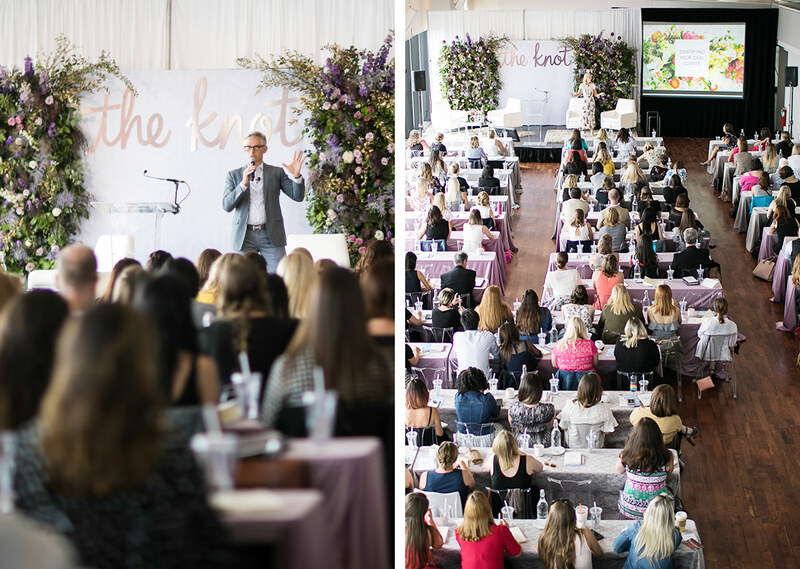 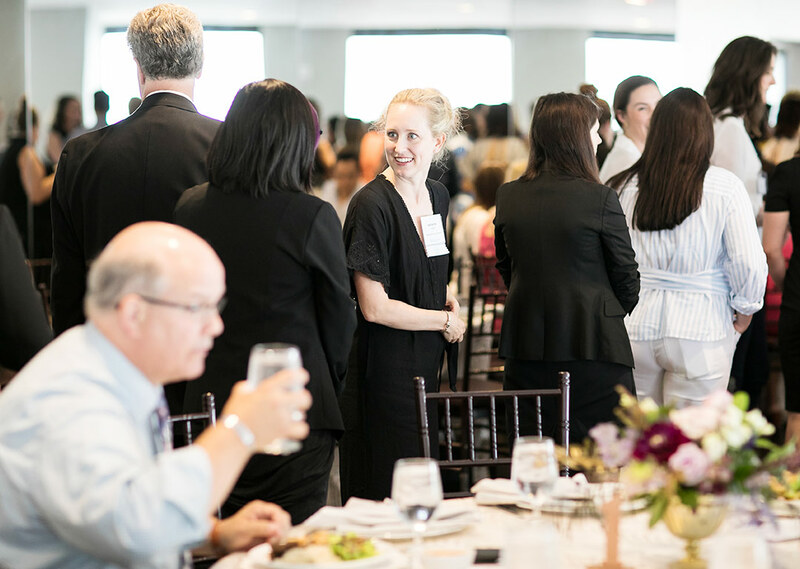 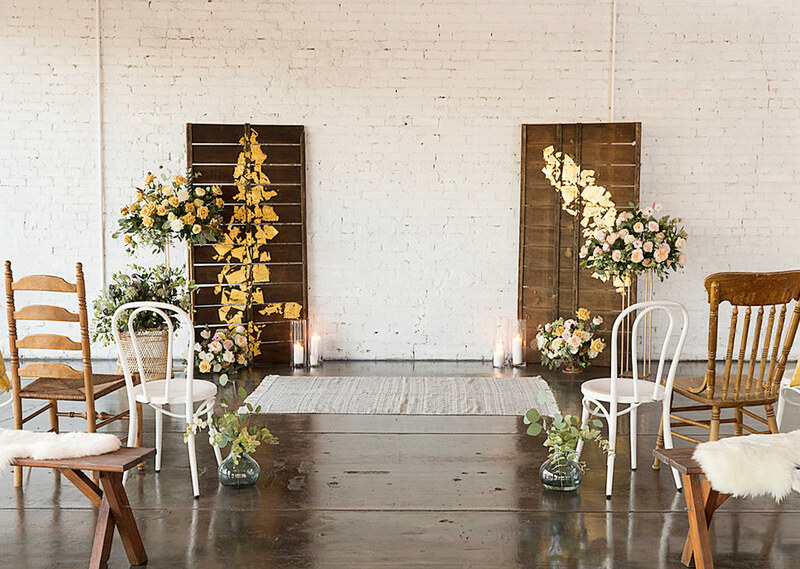 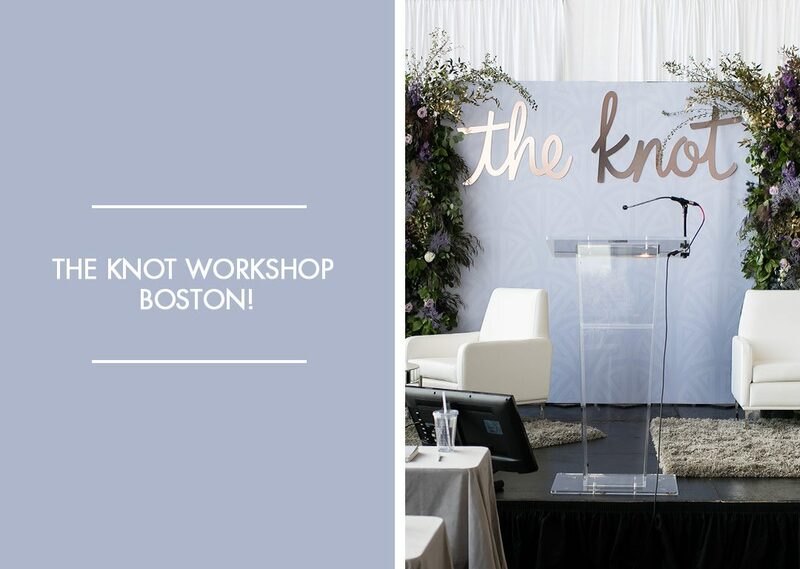 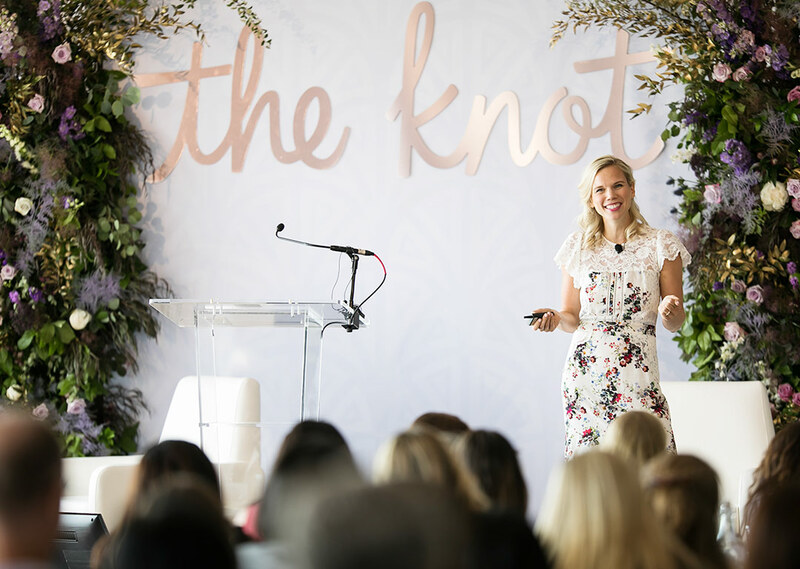 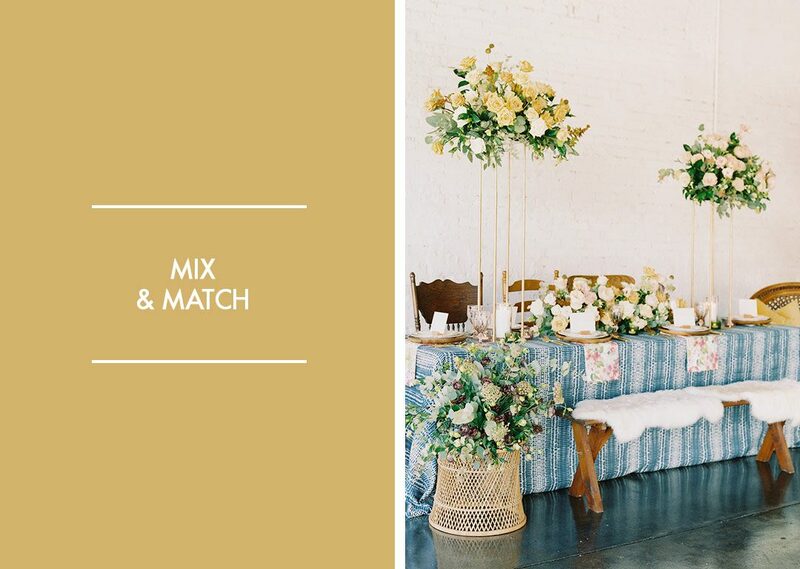 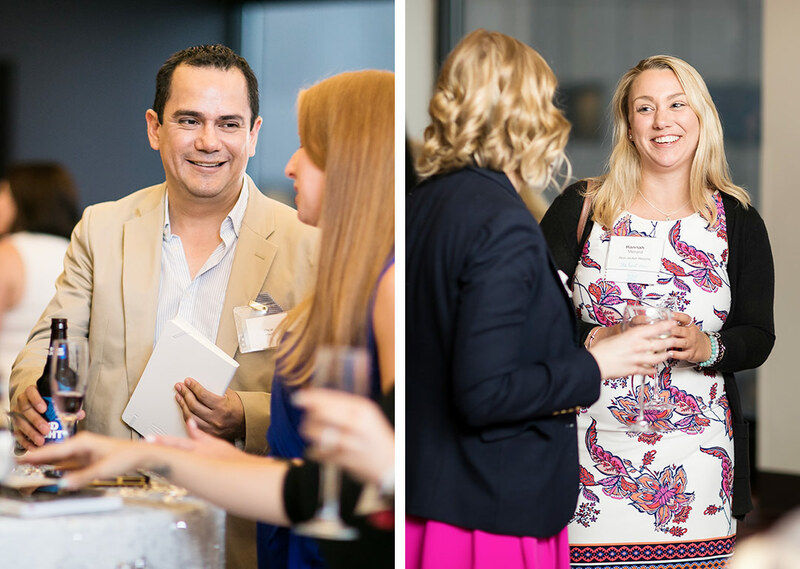 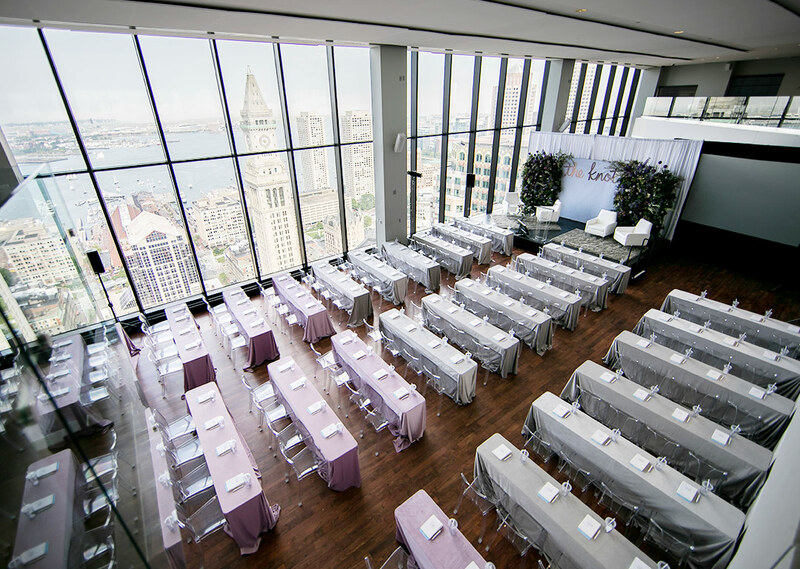 A match made in event design heaven! 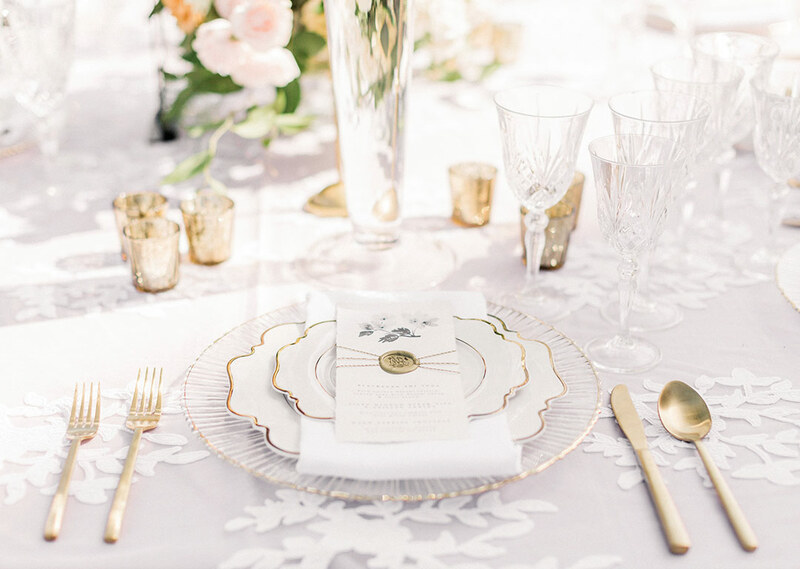 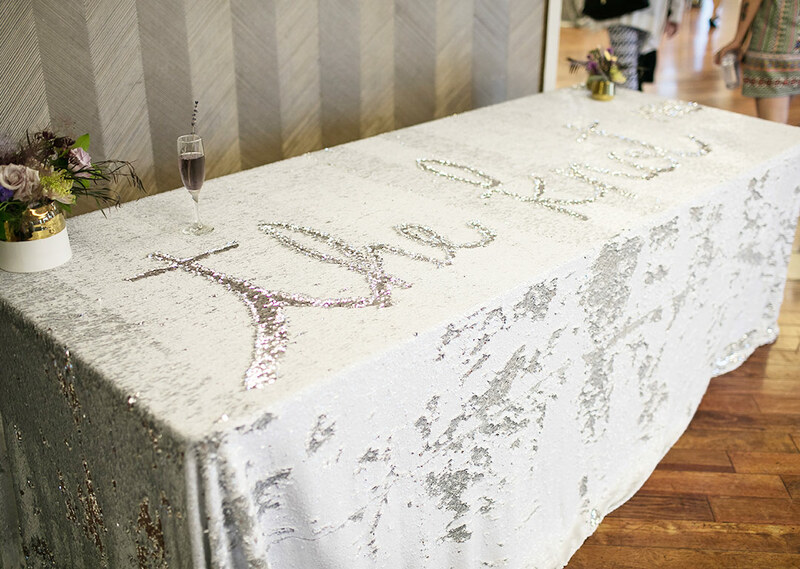 Each little detail combines to make a tabletop spectacular! 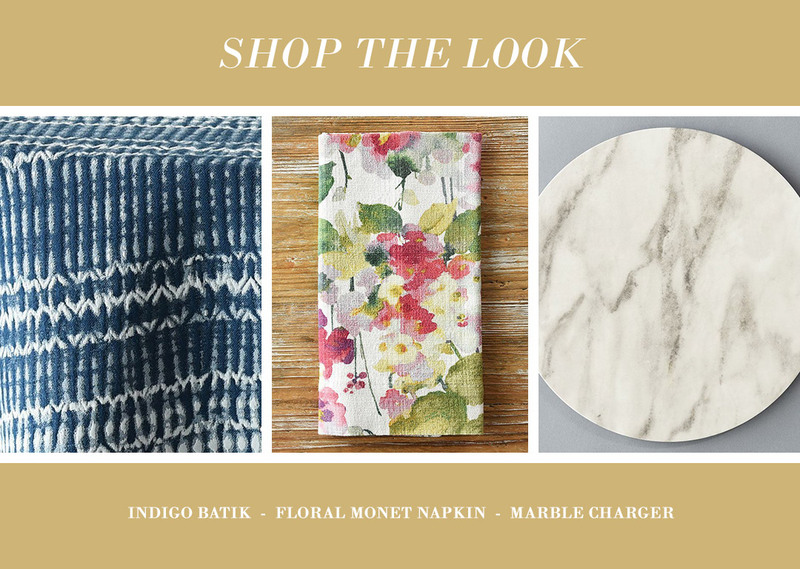 From napkins to paper goods, it all matters. 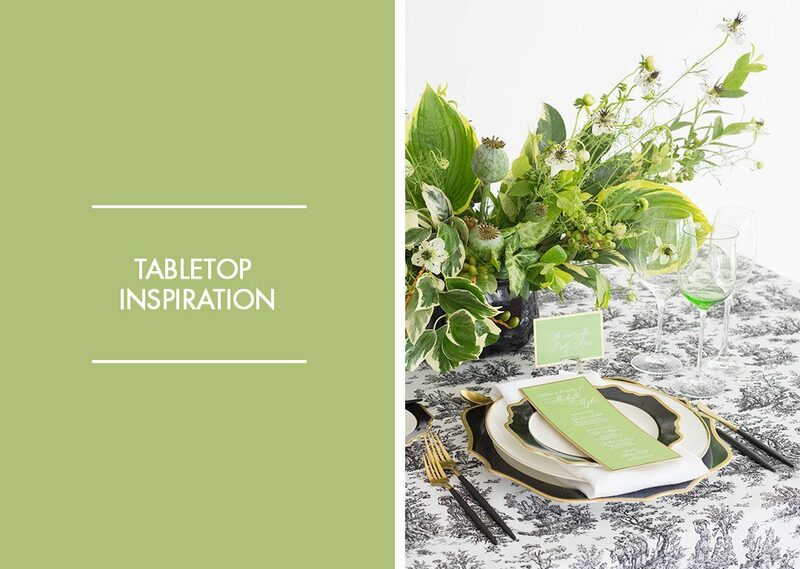 What’s your favorite design element?